Through life we meet many people. Only a few we cherish to call "Special." It is their memory we will never forget. This special rose will keep their thoughts and memories with us forever! A comforting gift for the grieving heart featuring a special keepsake memorial cross pin engraved with rose motif to wear in memory of a loved one. Pin comes on gift card with the above special sentiment. Also includes a gift book of God's promises with comforting prayers and a CD of comforting hymns. Finally we add an assortment of comfort foods including flavored tea, Cherub caramel cookies, Scripture wrapped candies and chocolates, and Thinking of You cookies. 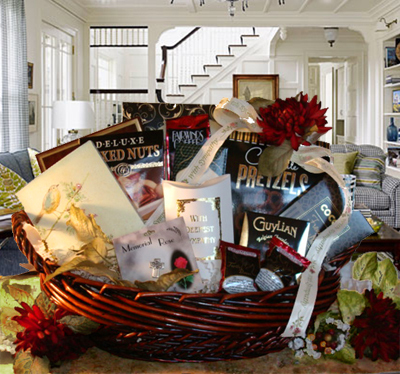 Our large arrangements ($99.00) also feature a special comfort gift such as an inspirational candle and candle plate and more gourmet comfort foods such as coffee greetings, cheese, crackers, world's best toffee, Ghirardelli milk chocolates, Thinking of You snack mix and more.